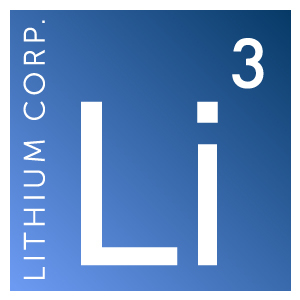 Las Vegas, NV – August 20, 2014 – Lithium Corporation (OTCBB: LTUM) (the “Company”, or “Lithco”) s pleased to announce that it has entered into an Asset Purchase Agreement to sell its interests in the BC Sugar flake graphite property, as well as the San Emidio and Fish Lake Valley lithium – brine properties, to PATHION, Inc.. Additionally, Tom Lewis will step down as President of the Company, but will remain a director, while Brian Goss, who has been a consultant to the Company since 2010 and is currently a director of Lithium Corporation, will assume the roles of President, Secretary and Treasurer. The terms of the agreement require that PATHION (a privately held Delaware corporation headquartered in Los Gatos, California) pay Lithium Corporation an initial $1.25 million, and issue 500,000 common shares of PATHION stock at the Closing. A further $1 million will be held in escrow and paid out to Lithium Corporation on the first anniversary of the closing of the deal. The agreement also lays the groundwork for continuing co-operation between the two companies moving forward. The companies anticipate that the agreement will close by the end of September 2014. PATHION is an energetic materials and advanced power device company created to develop and commercialize applied materials and battery products utilizing its proprietary processes and technologies. PATHION has acquired the rights to key advanced materials developed in the process of research and development at Los Alamos National Laboratory (LANL). The company also is a sub-recipient of an ARPA-E grant from the DOE to further develop its fire resistant lithium, a solid-state advanced superionic conductor (AdSIC) material, developed at LANL. PATHION is thus uniquely positioned to provide critical power technology for a broad array of devices that fundamentally change the way they operate and their cost of operation. After the PATHION deal, Lithium Corporation will continue to progress with its assessment of the Mount Heimdal graphite property, and its 25% interest in Summa, LLC, a private Nevada company that holds the residue of Howard Hughes’ once mighty Summa Corp. Recently research has been conducted on the Hughes properties, focusing on the Tonopah area where reporting in the 1980’s indicate that over 2.175 million tons of mine dumps and mill tailings exist at surface on Summa’s properties that contain in the order of 3.453 million ounces of Silver, and 28,500 ounces of Gold. In addition to this easily extractable surficial resource, other reports indicate that 300 – 500,000 tons of mineralized material is expected to remain at depth in old workings on Summa’s properties, which is believed to contain an average 20 ounces Silver and 0.02 ounces Gold per ton. Also several partially tested exploration targets have been identified on Summa’s Tonopah claims, where further work could potentially lead to a marked increase in known underground resources. Field work is slated to start at Mount Heimdal as soon as local forest fires abate. Additionally Lithium Corporation is looking to ramp up its generative program exploring for new deposits of next generation battery related materials.